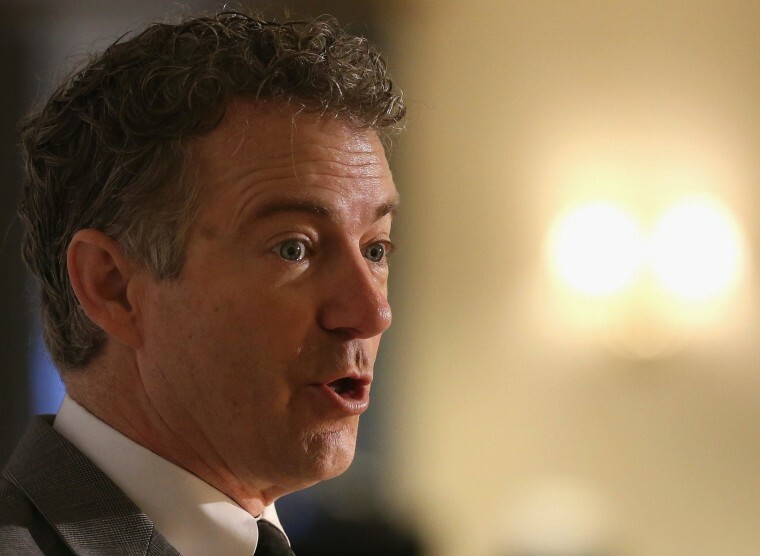 Republican Sen. Rand Paul is standing by his statement that most vaccinations should be "voluntary," telling CNBC that a parent's choice not to vaccinate a child is "an issue of freedom." In an interview with the network Monday, Paul said that vaccines are "a good thing" but that parents "should have some input" into whether or not their children must get them. And he gave credence to the idea - disputed by the majority of the scientific community - that vaccination can lead to mental disabilities. "I have heard of many tragic cases of walking, talking normal children who wound up with profound mental disorders after vaccines," he said. Paul's comments came the same day that Gov. Chris Christie said that parents should have "a measure of choice" in whether children are vaccinated. The New Jersey governor, who -- like Paul -- is considering a 2016 run, later issued a statement clarifying that he believes that "there is no question" that children should be vaccinated for diseases like measles. Earlier Monday, Paul said on Laura Ingraham's radio show that "most" vaccines should be voluntary.